After weeks of anticipation, Britney Spears and Iggy Azalea’s duet “Pretty Girls” is released! Since the duo revealed that they would be collaborating back in September, they have been teasing fans with snippets and insiders ever since. “Pretty Girls” is an Invisible Men-produced, summertime, pop-anthem made for the radio! “All around the world pretty girls! Wipe the floor with all the boys! Pour the drinks, bring the noise! We just so pretty”, they spit over the high energy production. The video to the single was shot a few weeks back in Los Angeles. Following the themes of Iggy’s “Fancy” and “Black Widow”, the duo will be taking on 1988 sci-fi comedy Earth Girls Are Easy. Along with the anticipated video comes their forthcoming Billboard Music Awards performance! It has been announced that the performance “will surely go down as one of the biggest pop moments of the year so far.” It sounds like Iggy Azalea and Britney Spears are well on their way to summertime success! What do you guys think of this girl power anthem? While the video’s due for release May 11th, the duo will hit the stage in Las Vegas on May 17th! 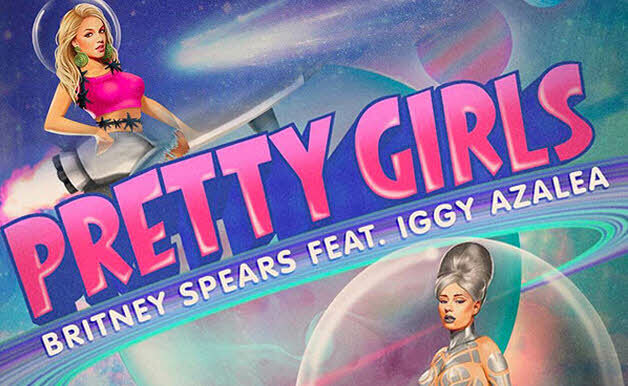 Check out Britney Spears & Iggy Azalea’s “Pretty Girls” below!